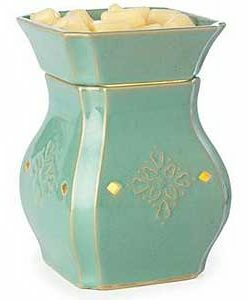 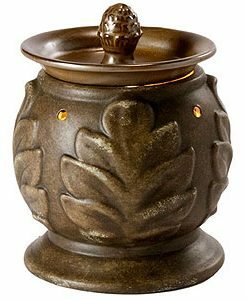 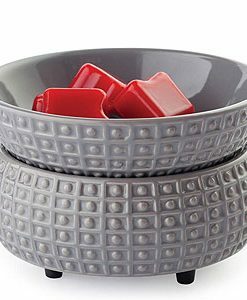 Combine our highly scented wax melts with this round Penelope tart burner to freshen your home without using an open flame. 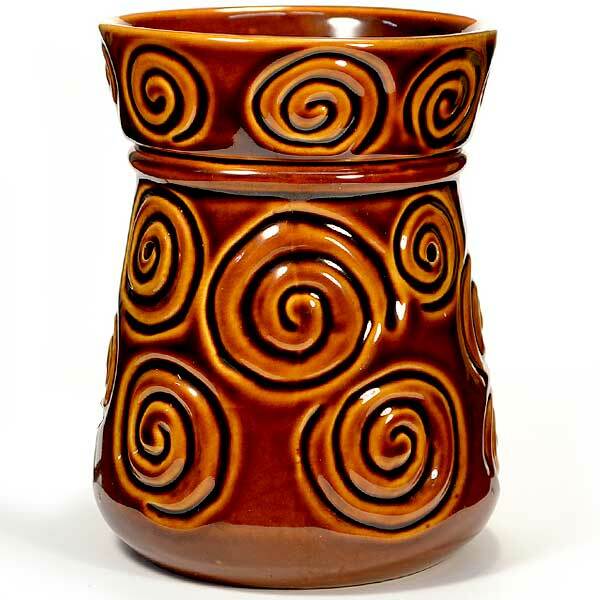 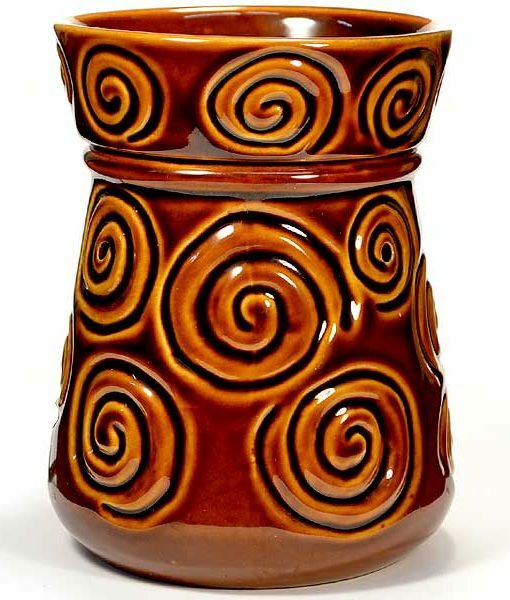 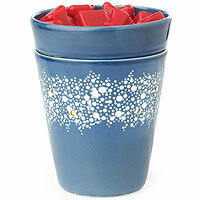 This is a decorative ceramic warmer that would look good in any style home. 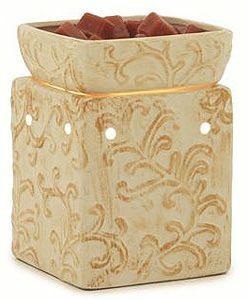 The tart burner has a 25 watt light bulb inside that heats up the removable dish liquefying the scented wax tarts on top. 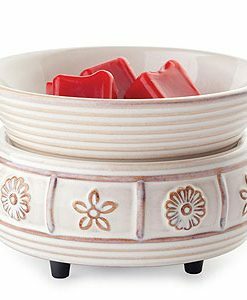 When the tarts liquefy they release the fragrance into the room. 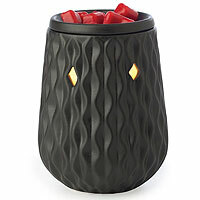 The candle warmer has holes all around it which allows the light from the bulb to shine out that creates a soft glow. 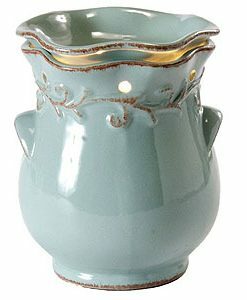 This burner is easy to clean because the warming dish lifts off of the base. 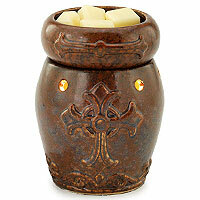 The long 3 foot power cord allows you to set this warmer just about anywhere. 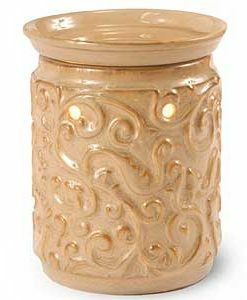 It has an on and off power switch built in and is designed to work in a standard 110 volt outlet.